Since 1980, Eileen McDargh has helped organizations and individuals transform the life of their business and the business of their life through conversations that matter and connections that count. 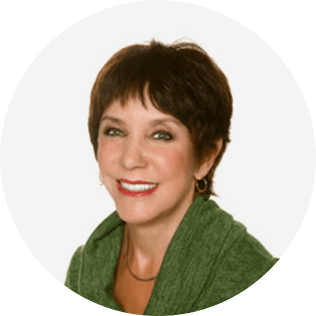 She has become known as a master facilitator, an award- winning author, and an internationally recognized keynoter and executive coach. She draws upon practical business know-how, life’s experiences and years of consulting to major national and international organizations that have ranged from global pharmaceuticals to the US Armed Forces, from health care associations to religious institutions. Her programs are content rich, interactive, provocative and playful—even downright hilarious. In 2018, Global Gurus International, a British-based provider of resources for leadership, communication and sales training, also ranked her 3rd as one of the World’s Top 30 Communication Professionals following a global survey of 22,000 business professionals. Work for a Living & Still Be Free to Live, the first book to address work/life balance—a topic that placed her as a futurist in this issue. Her second book, The Resilient Spirit is found from South Africa to California and was written as a response to 9/11. Talk Ain’t Cheap—It’s Priceless serves as a leadership guide for numerous organizations. Gifts from the Mountain-Simple Truths for Life’s Complexities won the Benjamin Franklin Gold Award. A training film based on this book earned a Silver Telly, the highest award for commercial productions. My Get Up and Go Got Up & Went offers succinct insights in an easy-to-read fashion for recharging and renewing human energy. Your Resiliency GPS: A Guide for Growing through Work Life offers a path for finding your GPS (growth positioning strategies) through recalculating questions. As a business author and commentator, Eileen has appeared on network news, on radio programs and in business journals and in major metropolitan newspapers. Eileen is a certified speaking professional (CSP) and her election into the CPAE Speaker Hall of Fame places her among the top 3% of speakers in the United States. She’s also listed as a recommended expert through the Sloan Work and Family Research Network now headquartered at University of Penna. Balance is baloney! Discover a better metaphor for the realities of living in a 24/7 world. Learn the power of choice and how to conduct a C.A.T. scan of your life. Develop strategies to create a life by YOUR design and not by default. A critical topic for all walks of life and one Eileen has followed since authoring the first book ever written on this topic. Make no mistake—everyone works—whether for free or fee! How can you work smart and live happier? Is it even possible in this fast-paced, frantic world? From senior executives to front line employees, this issue is key to the changing nature of America’s workforce and today’s world. 1. Understand why traditional models of balance no longer work in these times of change. 2. Discover how to conduct your own “CAT” scan of life. 3. Acquire the skills to “sail” within the five critical areas of living. 4. Create your own action plan for juggling the demands of your fast-paced life. 5. Learn at least three methods for effective self-management and self-improvement that you can put to work immediately. You need a GPS (Growth Potential Strategy) and Recalculating Questions to revive and renew the spark of hope and optimism as you cultivate resiliency skills. 2. Discover four resiliency skills and when and how to use them. 3. Throw out the dictionary for a better definition of resilience. 4. Find out what actions leaders take to create their own sustainable strategy. By checking this box, you will no longer receive bonus materials, reminders about sessions, special offers & important WBECS 2018 updates. By checking this box, you will no longer receive bonus materials, reminders about upcoming programs, special offers & important WBECS updates.